Novak Djokovic has eight Grand Slam Titles to his credit and 2015 appeared to be the year in which he would get the one that has always seemed to elude him. Djokovic is currently ranked as the men’s top tennis player in the world, but he has never finished first at the French Open. Djokovic previously reached the French Open Final in 2012 and 2014, but there he was never able to overcome Rafael Nadal. What made Djokovic’s 2014 loss that much more difficult was that he had beaten Nadal in Monte Carlo which was the tournament that preceded the French Open. But in 2015, Djokovic has been sharp. Djokovic won the Australian Open for the fifth time and he has been virtually unbeatable as he has gone through the likes of Andy Murray and Roger Federer. As for Nadal, he is playing, but he is still in the process of recovering from a wrist injury which has taken away from his typical dominance. And when the pairings were announced for the French Open, it would be Djokovic that earned the top seed that has generally been reserved for Nadal as he has won in Paris nine times. 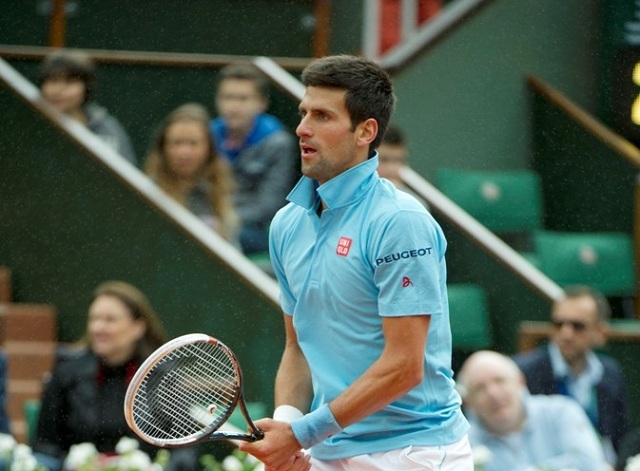 Djokovic was the top seed of the 2015 French Open, but he would have his work cut out for him. Instead of meeting Nadal in the semis or in the final, Djokovic had to face the undisputed “king of clay” in the quarterfinals. And after losing to Nadal in four sets in the 2014 French Open Final, Djokovic was able to dispose of him in straight sets last week. Djokovic would then face Murray in the semis and after winning the first two sets, he appeared to be making quick work of the Brit. But the match was suspended due to inclement weather. And when it resumed the following day, Djokovic was now facing a revived Murray who took him to five sets before losing. So now the only thing that stood between Djokovic and his first French Open Championship was Stan Wawrinka of Switzerland. Since winning the Austalian Open in 2014, Wawrinka has been a mystery man as he has been a surprising early exit at most major tournaments. But this past Sunday at Roland Garros, it was Wawrinka that dictated the pace and with his four-set victory, he denied Djokovic the one title that has eluded him. This was the perfect time for Djokvic to win the French Open as he is in the prime of his career while Nadal is still shaking off the rust and Federer is getting older. Djokovic has claimed eight Grand Slam Championships and he is still the best tennis player going right now, but his detractors will be quick to point out he has also made eight major finals and lost. The loss in Paris this past Sunday could bother Djokovic as he could have won all four Grand Slam events this year, but he can take solace on the fact that when Wimbledon begins next month, he will be defending his crown there. Nadal will more than likely enter Wimbledon as the top seed and if he’ll be able to win at the All-England Club, he will join an elite list as only seven men would have won more Grand Slam Titles that him. But as good as Djokovic has been, he will still hear about not being able to win the French Open.